There is a big bike lane experiment happening on the east side. On Sept. 13, county employees striped the section of Barnett Shoals between College Station and Whitehall so that there are now three lanes with a middle turn lane instead of the standard four lanes. On the east side of the road, across from the fire station, there is now a two-way bicycle track with bollards separating the bike lanes from the car traffic. This is a temporary, multi-week demonstration to see how this configuration works. The design was created by Toole Design, a leading people-focused design firm and the same company that has created our biking and walking master plan. Every time a four-lane road is up for repavement, the ACC Transportation and Public Works department does an analysis of road traffic to figure out if it makes sense to three-lane the road to make it safer and add bike lanes. Traffic numbers show that this section of Barnett Shoals works for 3-laning. 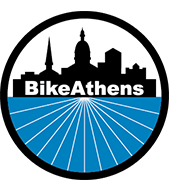 What’s different here is that Toole came up the kind of innovative design that we should see more of once the Athens in Motion Plan gets voted into place next month (hopefully). Some people might say, “hey, why not build a separated multi-use trail where one of the sidewalks is.” Something like that may happen in the future but right now there is only $ for a repaving/restriping project, not the oodles of money a separated trail would cost. That’s NOT an option right now. For those cycling into town, the new configuration will provide so much more safety than what’s there right now and will provide a green box up at the College Station light where cyclists can move ahead of cars and into the left turn lane without risking their lives. For those riding away from town, the set up won’t completely make sense until the next section of the bike pedestrian master plan is built, one that will guide people along the mostly unused Old Barnett Shoals dead-end (just before Barnett Shoals makes a sharp turn to the left) , thus avoiding the Whitehall traffic light and a risky left turn. 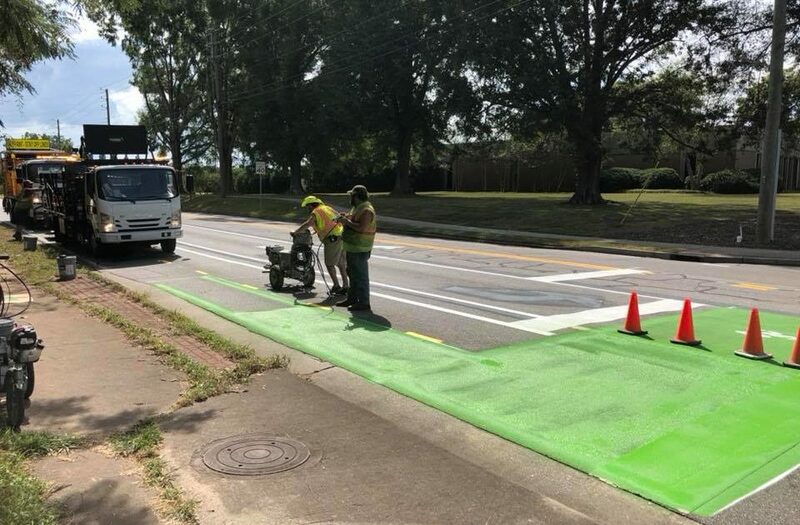 Bike riders and walkers would then reach sidewalks and bike lanes that will link up to the Barnett Shoals Elementary School and Old Lexington Road. Remember that if this experiment doesn’t work, then it won’t last, but if it does, it’s the beginning of some much-needed and cutting edge bike infrastructure on the eastside. To learn more AND to give feedback, clink on link below. And that’s the end of my bike advocacy lesson for today.